Real estate agents have long held an iron-clad grip over home owners in New York City. Looking to sell your home? It’ll cost you 6% of your home sale price and there’s no way around it. Fortunately, according to a recent Inman News article, home owners are finding a way around traditional real estate commissions through the underground For Sale By Owner movement in NYC. 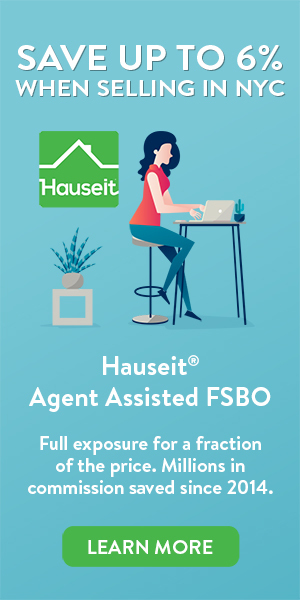 “The experience for an agent assisted FSBO seller is dramatically superior to a traditional FSBO seller because the seller will avoid solicitation and harassment from agents without buyers,” says Chris Oliver who is the spokesperson for NYC FSBO company Hauseit. An agent assisted FSBO sale is very different from both a traditional For Sale By Owner sale and a flat fee MLS listing in that other agents won’t know that the seller isn’t paying full commission. Furthermore, home sellers are paired with a brand name, traditional broker partner who never openly discounts and has great relationships with the wider brokerage community. Home buyers can benefit too! Sellers aren’t the only ones who can benefit from reduced commissions. Home buyers can now receive a buyer agent commission rebate from their buyers’ agent. Think of it as a more generous closing gift equivalent to $20,000 or more. How’s that versus your typical box of chocolates or bottle of wine? Real estate is known by venture capitalists as a figurative graveyard for start-ups because of the numerous attempts by outsiders who think the way to lower commissions is through an eBay for homes. Similarly, too many discount brokers have received too much venture capital funding over the past several decades for the same iteration of the idea that if you openly discount your commissions, you will gain market share. All of these half-baked attempts have struggled to gain traction over the years because they’ve openly attacked the largest sales force in the world. 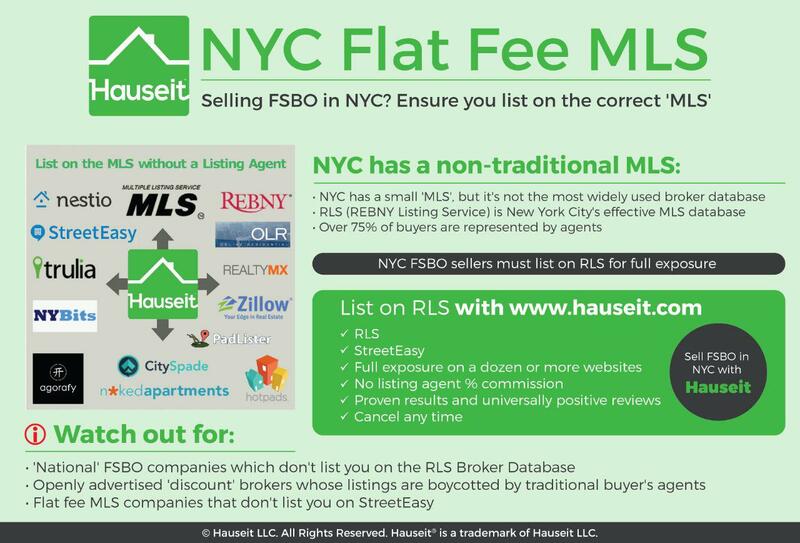 The 50,000 licensed real estate agents in NYC control 90% of all buyer traffic. As a result, any listing agent needs the cooperation of other agents representing buyers to be able to sell their listing. “Being loud about discounting commissions and attacking the brokerage community never works, yet it is almost always the first thing real estate startups think of,” says Chris Oliver of Hauseit. The team at Hauseit has instead taken a softer approach to changing the nature of real estate commissions in NYC. They have amassed a network of traditional, full-service REBNY Member Firms who have agreed to reduce commissions for both home buyers and sellers. “It’s a win-win situation for both parties as the brokers don’t tarnish their reputations from openly discounting their services and in fact are able to increase their reputations by having more listings,” says Chris Oliver of Hauseit. Hauseit was launched in August of 2014 by investment banking professionals who had become disillusioned with the future of Wall Street. “Since then we have helped almost 300 NYC home owners list their homes with a combined listing notional over $500 million,” says Chris Oliver of Hauseit.